There is a state-run college aid and assistance organization for every state in the US that is designed especially to help students on their pathway to affordable education. The state-sanctioned Georgia Student Finance Commission (GSFC) acts as that institution for the state of Georgia. Institutions like the GSFC work closely with the state government authorities to provide information on the disbursement of federal funds and provisions for other forms of aid such as loan repayment programs and state grants. The GSFC has created an online resource center and hub for all things related to student financial aid: GACollege411.org. This website portal is designed as a comprehensive guide where parents and students may get accurate and up-to-date information on saving for college and finding the best scholarships, grants and loan programs specific to Georgia. GACollege411 hosts college fairs, offers help and guidance in filling out the ubiquitous Federal Application for Student Aid (FAFSA), and determines your eligibility for various awards. Please note that in the past the GSFC has been the originator of a government-funded student loan program especially for Georgia college students. However, due to recent changes in student aid legislation, the federal government is now the only source for these types of Direct Loans, which you can find out more about through StudentLoans.gov. 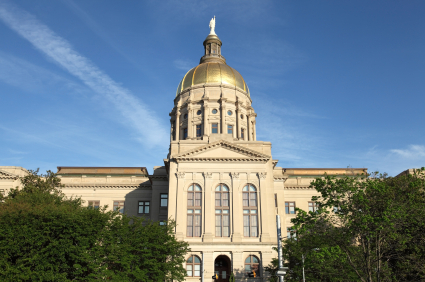 Georgia does offer one unique loan program: the Student Access Loan. This is an undergraduate private loan awarded to randomly selected participants who absolutely cannot afford their education costs and have exhausted all other resources. The loan additionally rewards participants with low-interest rates and repayment incentives if the student agrees to work in the public sector or in the fields of Science, Math, Engineering or Technology (STEM). Additional incentives will be offered as long as the student completes their program of study within the appropriate time frame. To be eligible for this special loan, students must be Georgia residents and must keep up satisfactory academic progress in their chosen course of study. Apply using the FAFSA form. One of Georgia’s most widespread financial aid programs is funded by the Georgia Lottery for Education. HOPE (Helping Outstanding Pupils Educationally) is a state grant and scholarship program which provides funds for those students who maintain a 3.0 GPA to attend a public or private institutions or technical schools within Georgia. Over $5.8 billion in HOPE funds have been awarded to qualifying students in the system. You may find out if you qualify for the HOPE program, and find out more information about it and other Georgia initiatives through GACollege411. Georgia is home to a number of loan cancellation and loan repayment programs. These initiatives help to funnel students into career areas where there may be a deficit of workers in the state. For example, the Scholarship for Engineering Education (SEE) Service Cancelable Loan makes it possible for those students dedicated to a career in teaching engineering to have their loans virtually disappear as they will be taken care of by the state if the student qualifies for this award. The John R. Justice Student Loan Repayment Program pays off the owed funds of law students who commit to working for at least three years as a local, state, or federal public defenders, or a local or state prosecutor. Students must be Georgia residents to qualify. If you have explored all your other funding options and have come to the conclusion that a private, or alternative, loan is your last resort to fill the gap between your tuition cost and what you can afford, make sure to choose between your options wisely. Lenders will entice you with low interest rates, multiple repayment terms and other bonuses, but you want to make sure that you choose the loan best suited to you in terms of amount, type, and term length. Alternative loans should only be taken out once you already have federal loans, and any grants or scholarships that you may be eligible to receive. In Georgia, some prominent private lenders include CU Student Loans, Wells Fargo Student Loans, and Sallie Mae. Your lender will almost certainly want to do a credit check on your background before you borrow any amount of money. Many students choose a parent or guardian, other relative or friend to be a co-borrower, in this case. Make sure whoever you choose as a co-borrower has good credit and is a trustworthy individual with whom you feel comfortable entering into a financial agreement. They should have a low debt-to-income ratio and a reliable source of income in order to co-sign on your loan with you. For many loan situations, repayment of the principal typically does not start until 6 months beyond your graduation. This initial term of 6 months is a pretty standard grace period in which a student is given time to transition into the working world and acquire a substantial and stable income. In the meantime, though, you should be aware that private loans do require you to make monthly payments that cover the interest only. These begin as soon as your loan is disbursed, or paid to your college. This is a perfect opportunity to get used to making monthly payments on time. Don’t default or fall behind, or you will risk ruining your credit which may come in handy in your future financial endeavors. Rather than defaulting, if you feel that you are risk of falling short of your loan payment you may consider loan consolidation. This option lengthens the period of repayment, but lessens the amount that you pay every month to an amount that you find affordable. CU Student Loans offers a private loan consolidation option with competitive rates and flexible terms. GACollege411 offers plenty of information, advice, and tools to make a situation like loan default easy to avoid. Make sure to take advantage of their loan and cost calculators to determine your monthly payments and make financially savvy choices. The personal portfolio that the website allows you to create will make it simple for you to view all your college finances at one time which will then point you to low-cost loan options that are suitable for your circumstances and needs.